In hindsight, this was inevitable once Away started selling aluminum luggage. Eventually, the rose goldification of consumer products will run its course, but until then, you can have the most striking suitcase in the entire airport. 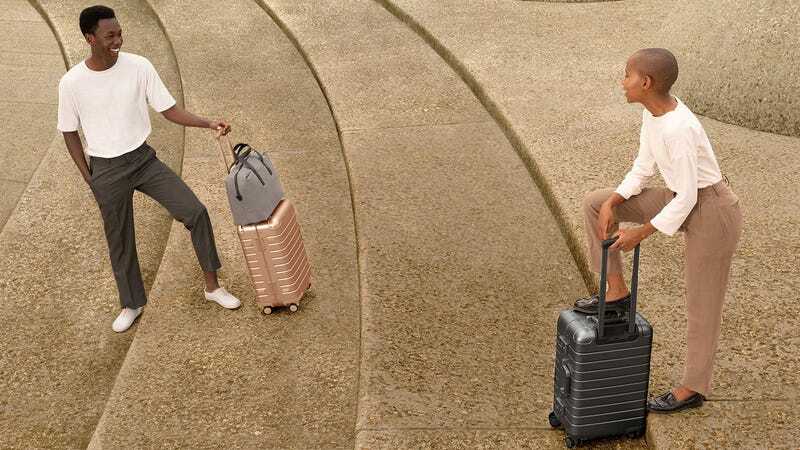 Away’s new, limited edition Alchemy suitcases are just new colors of the Aluminum Edition suitcases they’ve been selling for nearly a year, but that doesn’t make them any less pretty. The rose gold will get all the attention, and deservedly so, but the space gray steel version will also stand out from all the other high-end aluminum luggage out there, something that can’t really be said for Away’s regular, silver suitcases. In my experience, limited edition Away colorways really are limited—I missed out on my mom’s color pick at Christmas, sorry Mom—so I wouldn’t recommend flying standby on these suitcases if they catch your eye.